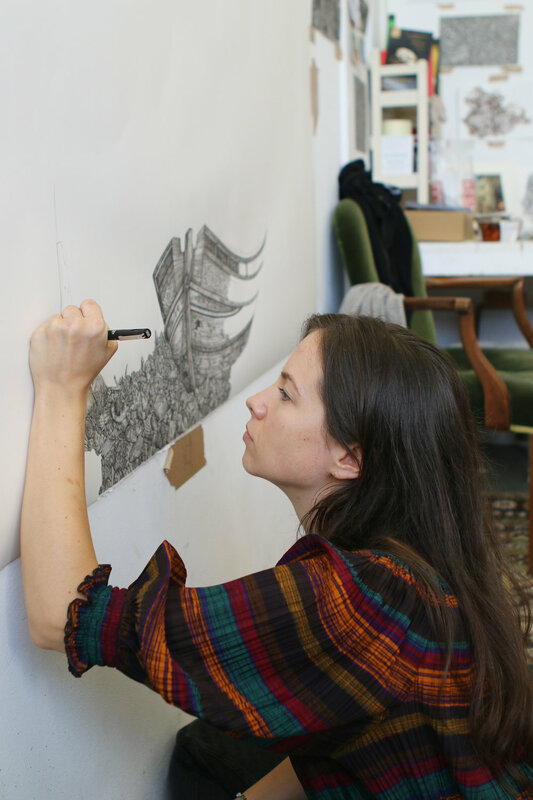 We met with exciting artist Olivia Kemp to discover what makes her studio so special. 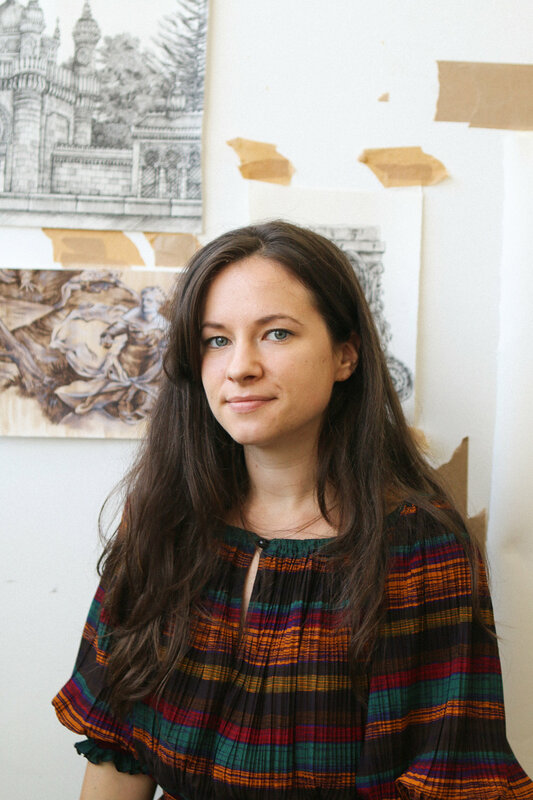 "I draw in order to make sense of landscape but also to construct and re model it. I build worlds and imaginary places that grow out of a need to interpret the sites that I have known, expanding and developing them across a page. This encompasses everything, from the visions of a grand landscape right down to the details of the land, the plants and creatures that may inhabit it. " My studio is a bit of a hodgepodge, somewhere between workspace and an elderly lady's living room. All the furniture is collected from past studios and although I change up what’s on the walls, some things have been there for years. It's practicality and comfort. I want to be surrounded wall to wall by the things that inspire or interest me. The environment I work in has a massive difference on my practice. I like to be comfy, I even have a studio cardigan and big wooly socks. I've got rugs on the floor of my space and plants, if I'm in here 6 days a week, it needs to feel like home. I like the light in here in the mornings, it cheers me up when I come in. I find it hard to concentrate if I'm not comfortable, it becomes a distraction. I want to be able to welcome people in, but only on days when I like what I'm working on! I think a good work space is different for everyone. I only know what works for me, some people would find all my clutter distracting and the furnishings impractical.